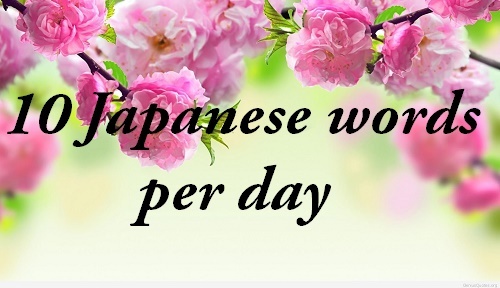 10 japanese words per day 38. Let’s learn 10 japanese new words everyday. these words are the most common japanese words used in everyday conversation and in JLPT Tests. These words are taken from 1000 common Japanese words. Me ga kayuku te tamaranai. My eyes are irritably itching. Garasu kappu ga yattsu ware te shimatta. Koko de kuruma o tome te kudasai. Shiken bi ha raigetsu no yokka desu. The exam date is the fourth next month. Konya ha shizuka desu ne. Rainen 18 sai ni naru. I’ll be 18 next year. Heya no naka ni roku nin ga ari masu. There are 6 people in the room. Facial expressions (face’s color) turn worse. O tearai o oshie te kure mase n ka. Can you show me the toilet? Go shujin ha ii hito desu. Your husband is a good person. above is 10 japanese words per day 38. 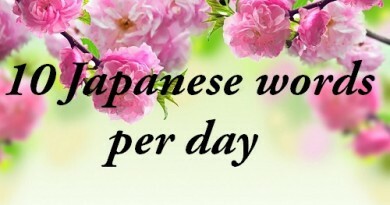 See more similar posts on the same category : 10 japanase words per day.